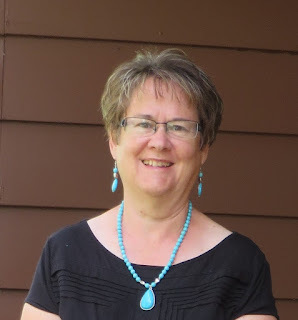 NineteenTeen: Nineteen Teen Welcomes Linda Ford! This spring, we’re off to Little Horn, Texas, again, with a new three-book series featuring some of the characters you knew and loved from 2016’s A Rancher of Convenience. 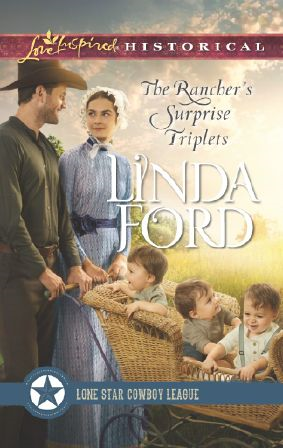 This year’s trio starts off with The Rancher’s Surprise Triplets, and I’m pleased to have Linda Ford join us this week. Look for a great post from her on Friday. Linda Ford grew up devouring books and making up stories in her head, often late at night when she couldn't sleep. But she hadn't planned to write. Instead, she dreamed of running an orphanage. In a way, that dream came true. She married, had 4 homemade children, adopted 10 and lived her dream. She lives on a small ranch in western Alberta, where she can see the mountains every day. She and her husband continue to enjoy their children and grandchildren. Linda also provides care for a paraplegic, double amputee man. She still finds a great deal of enjoyment and satisfaction in creating imaginary worlds only now she does it on paper or rather, at the computer. 19T: You’re one of Love Inspired Historicals most beloved authors for Western historicals. What draws you to Western settings and the nineteenth century? Linda: I grew up reading about cowboys, horse, and pioneers. My father often took us to museums. My husband rancher loves western movies and when we were dating, I watched many westerns with him. Plus I live in cowboy country so I guess you could say it’s in my blood. I know the good old days were not without their challenges, but I like the idea of a simpler life where family units were strong, where roots went deep, and where a man’s word was his honor. 19T (Regina): I know from working with you on the Lone Star Cowboy League: Multiple Blessings series that you value historical accuracy. What surprised you the most about the late nineteenth century? Linda: What surprises me the most about this era is how few rights women and children had. How little protection. If a father beat or abused his children, no one had the right to interfere. If a woman was abused or neglected by her husband she had no recourse. 19T: With 14 children, many of whom were adopted, you know the importance of family. How does that play out in your books? Linda: My stories often have homeless or abandoned children. They frequently contain adults who have never known the security of a forever home. I get to give them all a new, loving family. Linda: Having it set in Texas. I have never been there. Thank goodness for Google. The story concept and many of its components are laid out by the editors who created the continuity. That makes it somewhat easier to plot as there are already some perimeters in place. 19T: Tell us a little about The Rancher’s Surprise Triplets. Linda: Bo finds the abandoned babies. They are sick so he takes them to the doctor’s daughter, Louisa, who is also the doctor’s assistant, to be cared for. Because of a traumatic past he has no plans to marry. Ever. Louisa is also committed to remaining single so she can care for her ailing mother. Not that anyone is particularly interested in her. Not only is she plain, she is old enough to have earned the role of spinster. However, life has a way of upsetting the best laid plans, as these two learn. 19T: What’s next for Linda Ford? Linda: The third book in my 6-book Big Sky Country series is out in July. It is Montana Cowboy’s Baby—a story about a baby left on the doorstep of the hero with a note saying the baby is his. He knows it’s not. This series is set in Montana—in case you didn’t catch that and features three Marshall young men, their sister and two close friends. Montana Cowboy Daddy was out in Oct. 2016. Montana Cowboy Family was out Jan. 2017. The fourth book—Montana Bride by Christmas—will be released in Oct. 2017. I am really looking forward to that story. It has many sweet elements. At least I think so. I’ve just turned in the fifth book and it’s about Annie Marshall’s friend, Carly, who is prepared to do anything to save her ranch and her home…including marrying a complete stranger. Following the completion of that series in 2018, I will be doing a 3-book series on travels on the Santa Fe Trail.